When it gets to this time of year I often find that some of my exam groups start to go into tailspin. The students begin to get worried and stressed and then decide that they can’t do it. This, of course, then makes some believe that university will never happen and so they won’t get a good job, no one will love them and they will end their lives alone (I am a drama teacher). Without being too melodramatic it can all just get a bit much and they can’t see the wood for the trees. Today I was looking at a 30 mark exam question with my Year 13s for the first time. I wanted to research, plan and write the essay under timed conditions in a lesson that lasted an hour and a half. If I had told them we were going to write a timed essay before the lesson some would definitely have stayed in bed. Instead, I attacked the whole thing from a different angle. I used their pre-lesson-learning to focus their attention on design elements in the play we had seen and in Shakespearean times (all part of the requirements). I had then sent several teaser tweets about shoes and different coloured pens – to keep them interested. I totally get this. Bring it on Sheps! I reckon I could do this. Might not be great though. I can give it a whirl. Not sure I really know what I’m doing. I haven’t got a Scooby Doo what is going on. Pupils had to place their shoes along the floor, near the wall, to show where they felt they were at the start of the lesson. Throughout the various activities in the first 30 minutes, they could move their shoes further along whenever they felt they had a better grasp of the subject. This isn’t rocket science and it isn’t new, but creating a more relaxed but purposeful atmosphere meant that after 30 mins of group work and stealing ideas from other groups’ sugar paper, pupils were able to sit in silence and write an essay plan. They then passed these to a peer who took a different coloured pen and added ideas and feedback. 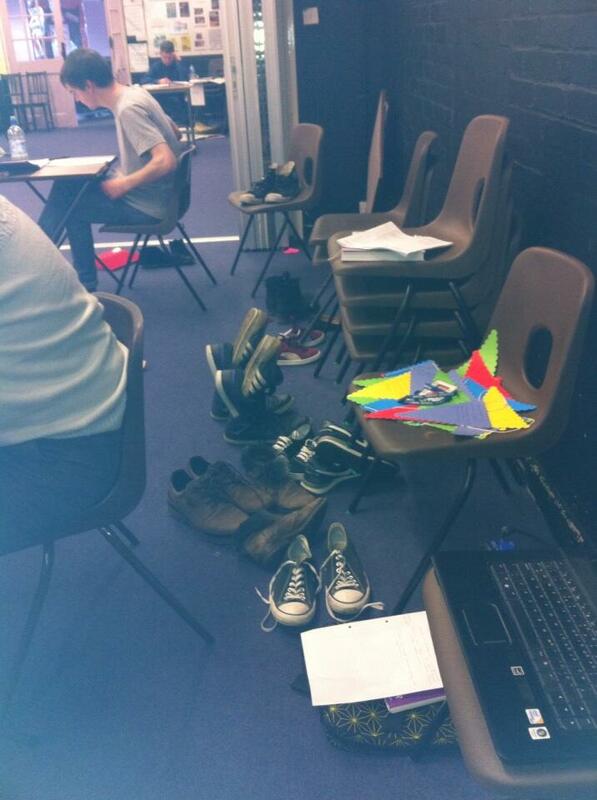 We were half way through the session and the shoes had moved. Everyone in the class was now at one of the top two bullet points. So they were ready to sit in silence and write for 40 minutes. I subtitled the lesson “Tiny Steps” to highlight the fact that they wouldn’t all be perfect at this straight away – it would take time to get there. 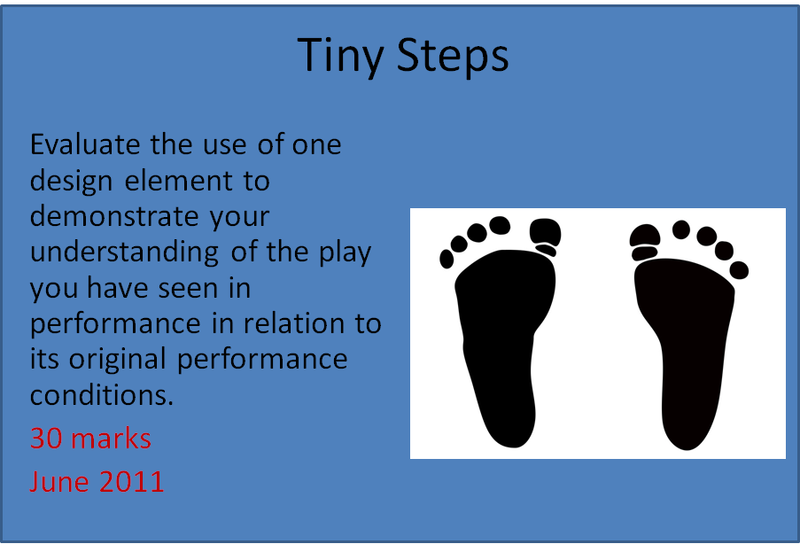 However, having thought about it, I actually think they took huge leaps in the lesson and not tiny steps at all. They surprised themselves with what they were able to do in a short amount of time.